Sea pig is very funny animals. They don't make a lot of noise, so they are often bought for young children. 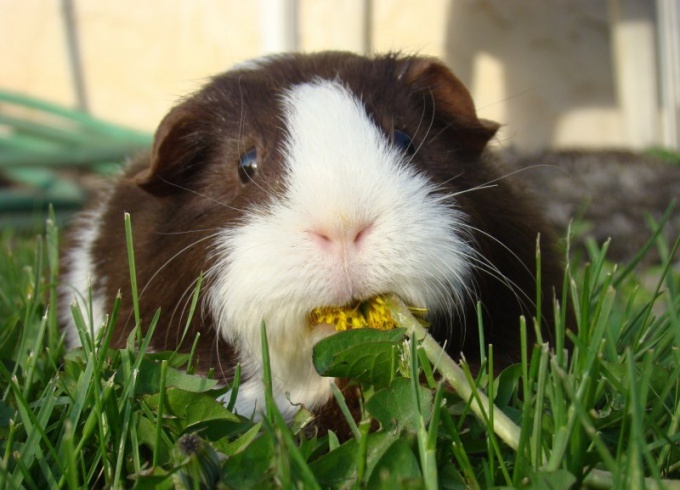 However, like other Pets, Guinea pigs need proper care. One of the components of the health of these animals is fresh water. Drink the sea pig is necessary. 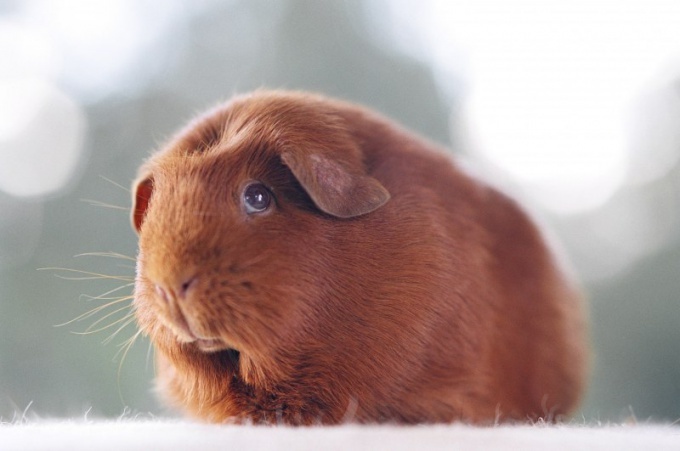 Guinea pigs, scientists have attributed to the rodent. However, unlike the latter, they cannot long remain without water. If you want your pig was healthy and happy, think carefully about this question and buy a special bowl. The drinker is a device equipped with a special tip. Here comes the water after it passes through the filter. The fixture also has a special mount. Place the waterers so that the Guinea pig could easily approach her. If you from time to time release your pet to walk around the room, move the bowl, securing it from the outside of the cells. Be sure to follow the condition of the water. Guinea pig drinks a lot, but she needed only fresh water. Otherwise, the pet may get sick. Remember that the animal will not be able to let you know when the water in the troughs will end or when it will acquire a strange and unpleasant taste. 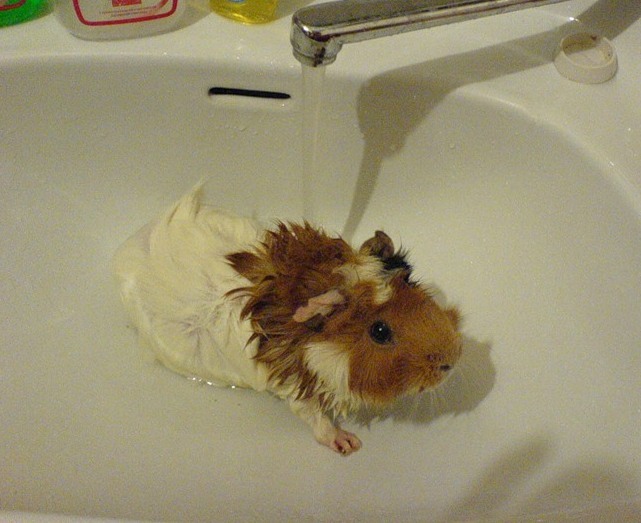 Particularly important is the presence of water in the cage during the adaptation of Guinea pigs to a new place. When you just bought a pet, be sure to give him all the best conditions: put a bowl, put the food, distribute hay, which the animal can hide. 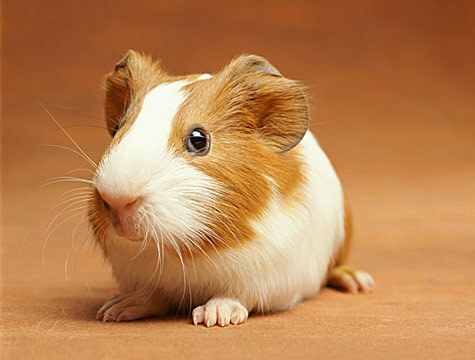 Also in the life of a Guinea pig may come a time when due to health problems the animal almost do not eat or drink. In any case do not let it go, because your pet's hunger means death. In most cases, these exacerbations occur during the transition of spring into summer and autumn into winter. You have to go of the sea pig yourself. To do this, prepare a special sauce, lettuce, dry food and water. All carefully grind and feed your pet small portions by syringe every 3-4 hours. Do not forget to drink sea pig. But be careful – let's water the animal can be between, but not during feeding.